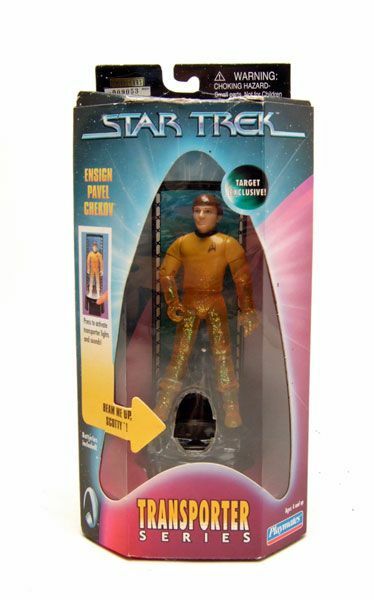 Ensign Chekov was released boxed as part of the Target Exclusive Transporter Series. 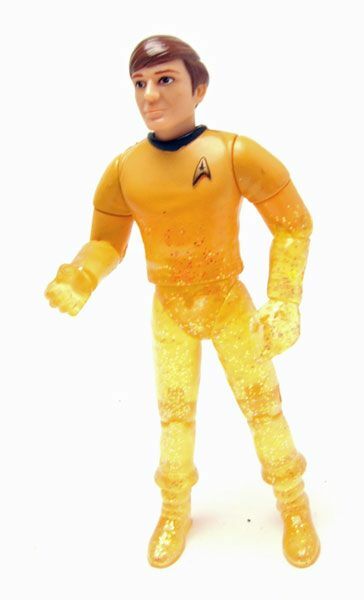 The Rundown: Playmates only did 2 TOS Chekov figures (plus 1 movie style figure); the Classic Crew Set figure, and this Transporter Series figure. 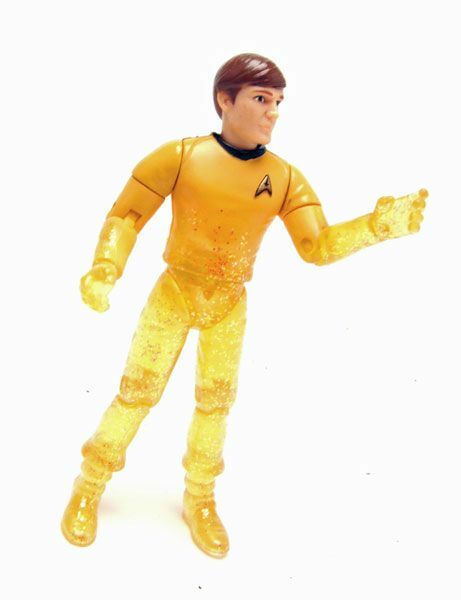 The first wave of Transporter Series figures was available everywhere, but many of the crew (like Chekov here) didn't make it into that batch and were released through Target as exclusives. 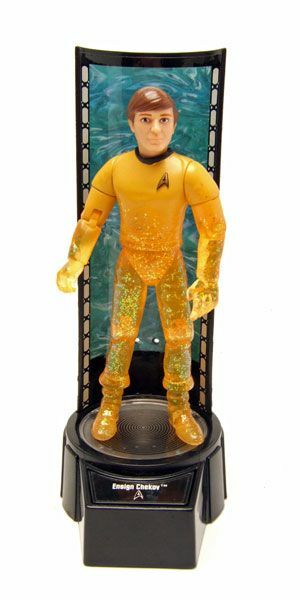 Chekov (like all the Transporter Series figures) is mostly molded in a translucent plastic with bits of glitter mixed to facilitate the Transporter Series effect. 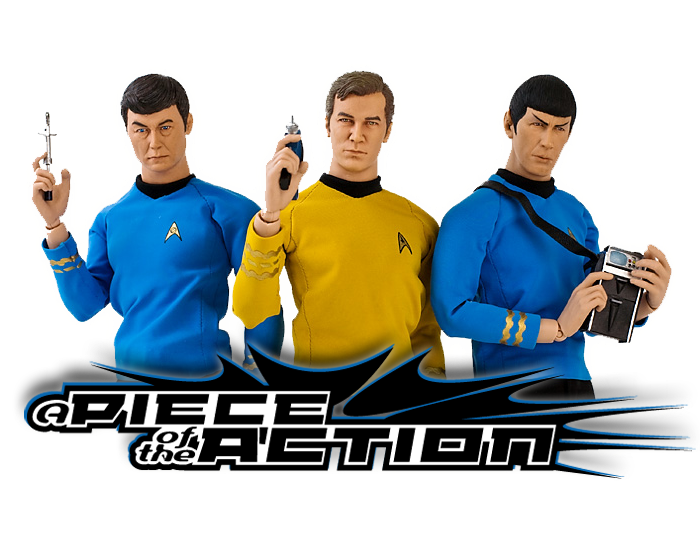 I think the yellow plastic used on Chekov here (plus Kirk and Sulu) works best with this feature. So there's not much you can do with the figure when he's off the base. 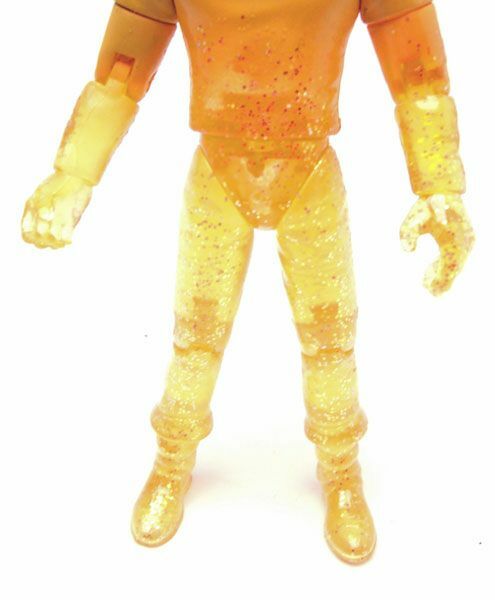 He looks a little strange just standing there in a beaming state... but he does look great on the base! The head sculpt is just as good here as it was on the Classic Crew Set figure. 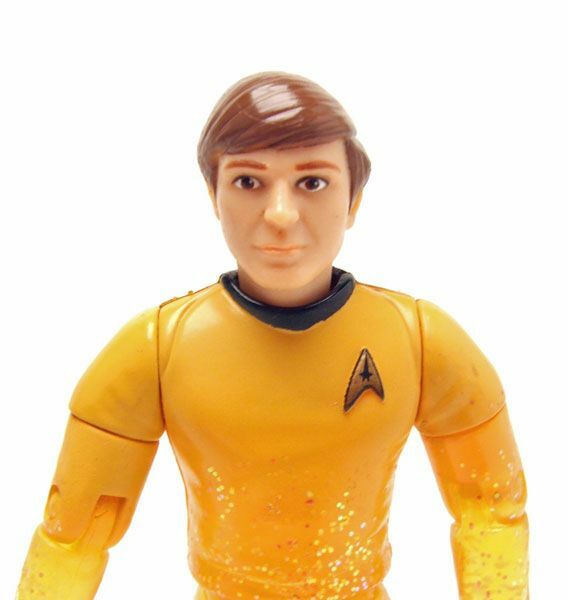 Playmates did a great job on this one, especially the Monkees-inspired hair. 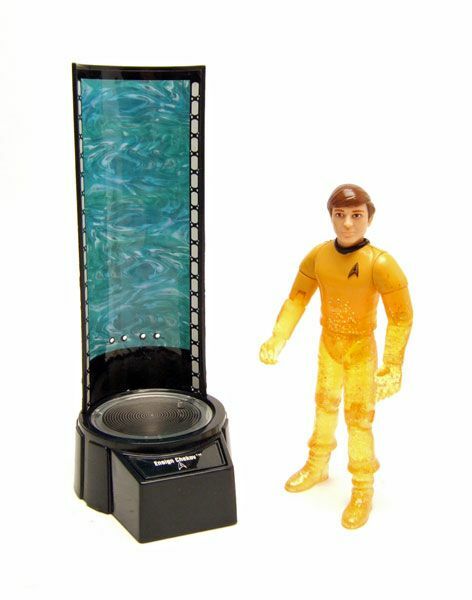 Accessories: Chekov, like all the Transporter Series figures, doesn't come with any accessories except the Transporter base (which has his name printed on it). I have one of these. However, it has a Christine Chapel base instead of its normal Ensign Chekov base. Does that affect its value, especially if it's still in the box?